A booming suburb of Houston, Katy, TX was once just a train stop on the M-K-T Line that sparked its name. 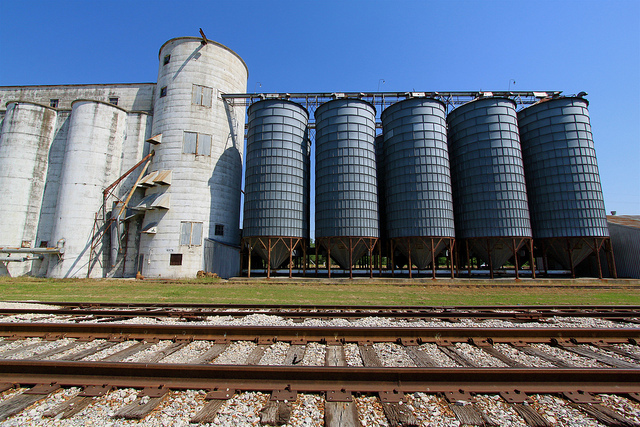 But this growing city is more than just a train stop and commuter housing: it’s a metro area of its own. In fact, experts say that Katy will be larger than the city of Pittsburgh within two years. And in 2014, Katy was named the fastest growing community in the nation with hundreds of new household move ins in a single month that surpassed all other zip codes in the country. Communities surrounding Katy including Fulshear, Richmond, Brookshire, and Sealy have swelled as the city continues to attract new residents. It’s not difficult to understand why Katy is a hub of growth. The city has extensive wildlife, arts, and community opportunities, as well as excellent public schools, local restaurants, and retail shopping. Friday night lights are alive and well in Katy with one of the nation’s leading high school football teams. Commuting to Houston for work or pleasure takes only about 30 minutes. Katy is also home to numerous new home builder projects, including award winning master planned community Cinco Ranch, which has grown exponentially since its beginning in the 1990s. Plus, residents enjoy the low cost of living in Texas. Home sales in Katy continue to show great demand, with many homes receiving multiple offers within their first few days on the market. Katy is a fast moving real estate area, and it pays to have a dedicated, professional Realtor on your side. We’ve highlighted the 15 leading Realtors in Katy. These real estate professionals offer experience, guidance, and a strong track record of satisfied clients in the Katy area. While we’ve listed our top Katy Realtors in no particular order, we’d like to hear from you which one is the best. Vote in our poll at the end of this article to let us know who you think is the best Realtor in Katy. But don’t wait: the poll will only be open for the next 30 days! 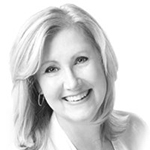 Broker and owner of Liz Carter & Team Realty, Sandie Acord is a leader in Katy real estate. Her team has been established in Katy since 1980, and Acord is proud to help not just original clients, but second generations of clients find and sell homes in the Katy area. Clients say Acord and her team always make them feel like their top priority. They have excellent knowledge of the area and the local market and are able to successfully broker real estate deals with ease and expertise. 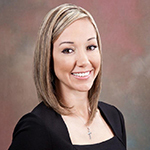 Holly Fanning is the broker and owner of Fanning Realty, and is recognized by many to be an excellent Realtor for the Katy and Houston area. She is a Dave Ramsey Preferred Broker and was certified as a Top Producer in the Houston Association of Realtors in 2014. Fanning holds multiple designations, including Accredited Buyers Representative, Certified Home Marketing Specialist, Certified Residential Specialist, and Graduate Realtor Institute. Her clients say she is able to take quick action to get things done while maintaining professionalism and a reassuring demeanor. A clear sign that Fanning delivers top notch service to her clients? Most of her business is based on referrals from satisfied clients. 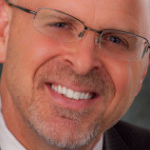 Founder and CEO of See Tim Sell Realty, Tim Sojka is a broker and accredited luxury home specialist. He is recognized as a leader in Katy and Texas real estate, with awards including Texas Monthly Top Agent, Houston Chronicle Top Agents, and Real Trends Texas Top Teams. Sojka is a sought after real estate expert as a featured speaker, radio guest, and published author. He is also a real estate investor. Clients appreciate that Sojka and his team are always prompt and easy to work with, as well as receptive to their needs. They say he has fantastic customer service and really love the personal attention they receive throughout the entire process. 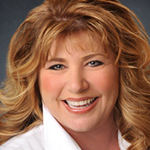 Broker and owner of RealLiving Karapasha Realty, Karen Karapasha loves being a Realtor. She and her team are one of the most recognized teams in the Katy and Houston area, they’ve earned their reputation for excellence by offering a sincere commitment to clients. Karapasha excels in her knowledge of the area and market trends, and she has been featured as an expert in the area housing market on CNBC. Her clients say that Karapasha and her team are the best in Katy with a knack for always being there to help with reassurance and expert answers to questions. 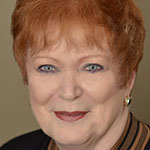 A Realtor since 1981, Dale Ross has a long track record of real estate excellence in Katy and the Houston area. He is committed to personal customer service and works to deliver only the best service to his clients. His company, The Dale Ross Realty Group, has been consistently recognized as one of the top 20 real estate sales groups in the Houston area. Clients love him for being able to buy and sell homes even in tough markets, while treating every customer like they are his only concern. They especially appreciate his ability to successfully market homes, with quick sales and great prices. 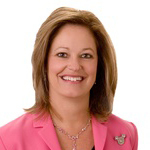 Owner of Whitman Realtors, Donicia Whitman is an experienced Katy real estate professional. She prides herself on putting clients first: being accessible, listening to her clients, communicating, and responding quickly to any needs. Her clients benefit from this excellent service, as well as her professional network, excellent negotiating skills, market knowledge, and marketing savvy. Whitman boasts a perfect five star client experience rating, and clients call her nothing short of amazing. They say she goes above and beyond the call of duty to deliver great service, while offering patience and a calm, professional voice of support in every transaction. A resident of Katy for more than 20 years, Stephen Krueger is active in the local community in real estate and beyond. He has sat on the board of directors for the Falcon Ranch HOA for several years and is an active member of the Houston Livestock Show and Rodeo. With a background in finance and contract negotiation, Krueger is also skilled in helping clients work out financial details and working to find the best terms for clients. He earns rave reviews from clients for making every one of them feel important with responsive communication, thoughtful explanations, and looking out for their best interests. Mary Zora is broker and owner of Katy Texas Realty, focusing on the West Houston, Cinco Ranch, and Katy area as well as Fulshear, Richmond, and Pecan Grove. 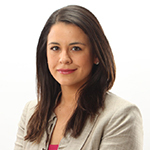 Zora is a native Houstonian, and has lived in the Houston metro area her entire adult life. She offers a no nonsense approach to real estate, offering her clients sharp, helpful real estate advice. Her real estate designations include Accredited Buyer’s Representative, Certified Home Marketing Specialist, Certified New Homes Sales, and Seniors Real Estate Specialist. A resident of Katy for more than three decades, Angela Kraushaar of Coldwell Banker United is an area expert and a leading Realtor. She has earned several designations as a Realtor, including Accredited Buyer’s Representative and Seller Representative Specialist. 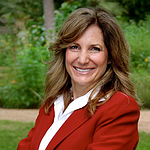 Kraushaar prides herself on local knowledge, and maintains an active blog with not only Katy real estate and market information, but local events, news, and developments. Clients say she is tirelessly dedicated and a dream to work with, and is an amazing advocate for buyers and sellers alike. Owner and broker of C.R. 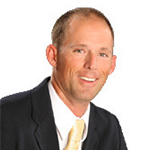 Realty in Katy, Chad Ray has more than twelve years of experience in real estate in Katy and surrounding areas. His focus is on delivering excellent service to his clients, building long lasting relationships with families who return to him for real estate services time and time again. Ray has lived in the area for many years, and offers his clients a wealth of knowledge about neighborhoods, schools, and more. Clients love that he is always available to answer questions and ensure that they get exactly what they want. Plus, he offers a calming demeanor and air or professionalism that puts clients at ease. 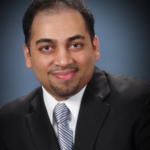 Owner of M&M Realty, Syed Mubashir is proud to offer excellent service to every real estate client in Katy. He holds multiple real estate designations including Accredited Buyer’s Representative, Texas Affordable Housing Specialist, and Graduate of the Real Estate Institute. Clients say he is easy to work with and appreciate that he always takes the initiative to help out—without applying pressure. It’s clear that he genuinely cares for his clients and has their best interests at heart as he puts his considerable knowledge and guidance to work. 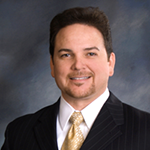 Aaron Layman is owner and broker of Aaron Layman Properties in Katy, TX. He has more than 14 years of experience buying and selling residential real estate, and is a prolific real estate blogger, staying up to date on real estate news, investing, markets, and more. You can read his updates on the Covering Katy blog and on his website, AaronLayman.com. In addition to considerable market knowledge and expertise, Layman offers a hands on approach for buyers and sellers with prompt, professional service. 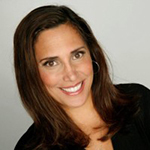 With more than 20 years of experience, Mickie Cioccia has long been recognized for her excellence as a Realtor. Her company, Mickie C. and Company Realty offers boutique real estate services to the Katy and surrounding areas. She has received numerous designations including Certified Residential Specialist, Certified Residential Broker, Graduate of the Realtor Institute, Accredited Buyer Representative, Real Estate Cyber Specialist, Real Estate Divorce Specialist, and Certified Green Specialist. In addition to real estate, Cioccia is active in the community as a Katy Rotary member, member of the Katy Chamber of Commerce, and Junior Achievement teacher. Clients say she is always available and extremely helpful and it is clear she genuinely knows what she’s doing. They love how hard she and her team work to make every client happy. 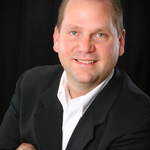 Joe McCain is the owner and broker of Terrabrook Properties in Katy, TX, and has lived in Katy for nearly 20 years. He has over 20 years of experience in the real estate and home building industry, and he is an excellent resource for families whether you’re buying, selling, or building a home in Katy. McCain has an excellent network of real estate and home contacts in Katy and Houston, and he is recognized for his superior customer service in real estate. He has earned numerous sales awards, including Onsite Salesman of the Year for Cinco Ranch and multiple Top Producer and Million Dollar Sales awards from the Greater Houston Builders Association and Marketing Council. McCain’s clients praise him for his patience and say he is excellent to work with. Owner of Robyn Jones Homes in Katy, Houston, and beyond, Robyn Jones is well established in the Katy real estate community. She provides her clients with a boutique real estate experience that is focused on service. 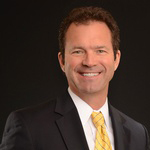 With a background in law as well as an MBA, Jones particularly exceeds in contract negotiation and market analysis. Clients say she is simply the best in real estate—and they’re not the only ones. Jones has been recognized by Texas Monthly as a five star Realtor, and she is ranked among the top 2% of Houston area Realtors.